Our hand made Macarons are a delicate crisp almond meringue cookie filled with delicious flavored Italian Meringue Icing and naturally gluten free. Each day our chefs make a fresh assortment of pastries: cream puffs, cream horns, Eclairs, and more. Stop by to see what's fresh today! Make any occasion special with one of our delicious dessert bars, cake pops or cake truffles to delight your guests. Our bakery makes a great party room for your next special occasion - birthday party, anniversary, baby shower or bridal shower! 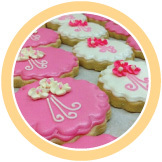 We create beautifully customized designer sugar cookies that not only taste great melting in your mouth, but also make perfect guest favors for any event. 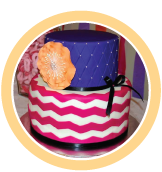 We are proud to offer moist, delicious cakes, freshly baked for you using quality ingredients and professionally decorated to suit your special occassion. 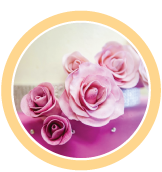 Let us create a one-of-a-kind wedding cake to help you celebrate your most special day. We're always trying out new recipes and have many seasonal items. 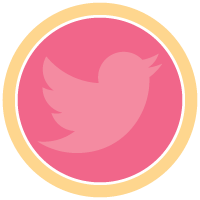 Follow us on Twitter and be the first to find out what we have on special in the bakery!